A map of where the new benches will be place. They are the blue rectangles. Map courtesy of the city of Poulsbo. 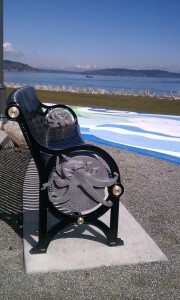 There will be quite a few more spots to sit back, relax and enjoy the view at Poulsbo’s waterfront park next month. 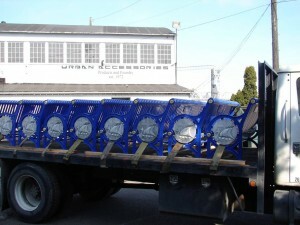 The city is installing 10 new benches between the Austin-Kvelstad Pavilion and the parking lot. The metal benches will be similar to the blue benches at the park, although the new ones will be dark brown to match the pavilion, said Mary McCluskey, park director. 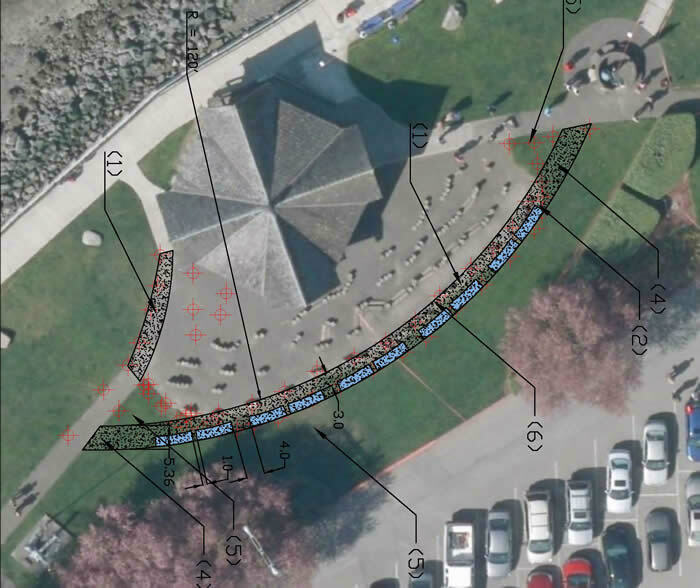 Workers plan to pour concrete Thursday, and all the benches will be done by the end of April. Viking Fest, one of the city’s largest event, is in mid-May.